Project Size: 155,000 sq. 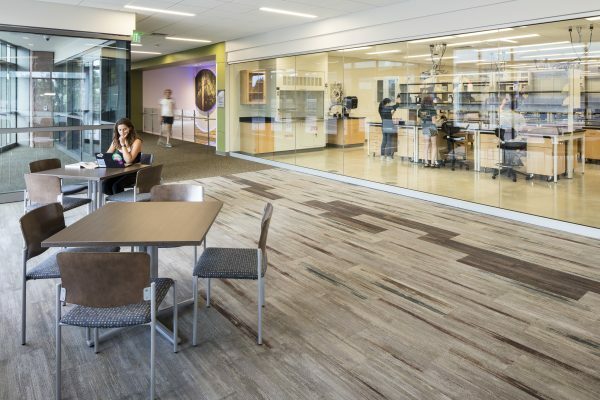 ft.
Colorado State University’s new Biology Building was built around fostering interaction and academic flexibility. The four-story building accommodates research labs, instructional classrooms, faculty offices, tutoring spaces, study rooms and collaborative areas. 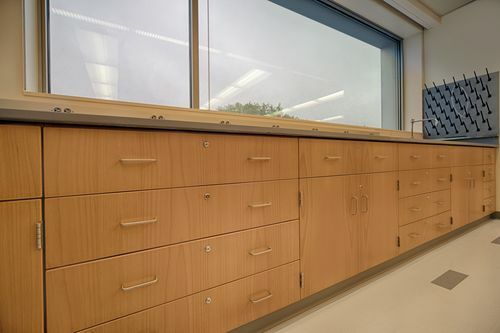 CiF provided its laboratory grade E-Line plain sliced – slip matched, maple wood casework. The natural wood grain finish brings out a rustic warmth, transporting the surrounding environment inside the space. Beautifully designed wood casework that is engineered for optimum functionality in a laboratory setting. Fabricated to meet industry recognized risk management standards, SEFA-8W and AWI QCP. 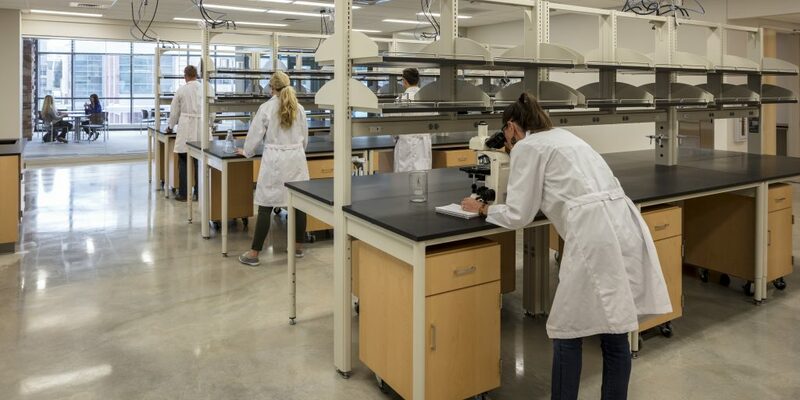 The laboratory facility is LEED Gold Certified, supporting the University’s sustainability initiatives.